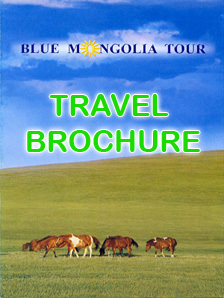 Starting from 1,June 2017 Blue Mongolia Tour agency’s tour managers add a sightseeing route of Khavtsgait rock paintings into south gobi desert tour program. The rock paintings are discovered by local people in many centuries ago, but it was recently recognized and studied by archaeological study students and it is becoming the tourists attraction in gobi desert area. Khavtsgait rock paintings, situated in the Baruun Gobi Gurvan Siakhan Mt in the distance of 82 km from Dalanzadgad town, in 21 km from Bulgan village, 1 km south west from Khavtsgait village. Khavtsgait Mt has one of the world's greatest collections of prehistoric 84 pieces petroglyphs – figures carved in the rock over a period of 5,000-8,000 years until 13 century and depicting themes connected with animal husbandry, navigation, war and royal lifestyle. There 77% of paintings are figurative depiction as depicting wild goats, deers, horses, beasts, birds; 20% of them are connected with forming monumental hunting and ritual scenes of people, specially men in royal lifestyles, others are cartographic and symbolic motifs features. There are app.27 ancient burial mounds and tombs dated to 5000-1000 years ago. The number, duration and variety of the engravings, representing for example lifestyle, status in the society, respect people, their relationship in 52th rock paintings contribute to the exceptional value of 13 century discovery. 52th rock size is 2m in length and 1.5 m in width and it keeps 30 figures: 15 men fugures in royal costumes are depicted with carts, 5 horse riders, 2 goats, 1 camel, 1 horse, 1 symbol and 2 unknown figures. The depiction of men and carts, as well as royal costumes, hats, clothes, chairs tell us that rock paintings are drawn by people in 13-14th centuries. Only prehistoric period’s arts and paintings are mainly drawn on rocks, but this kind of more late time art on rock is very rare and in this meaning, this is very valueable and important in Mongolian archelaogy discoveries.